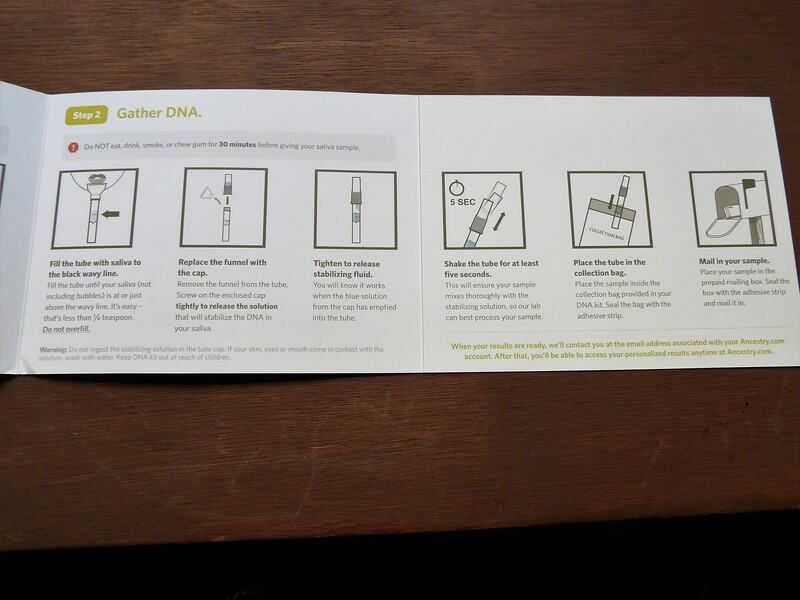 This is the DNA kit I obtained from Ancestry.com last week. The lid flips open and the instructions sit on top of the contents. Everything is labeled and easy to understand. The container on the lower right contains a tube with a little funnel on top. You simply spit in the tube then pour in a preservative (supplied) and it is ready to ship off. 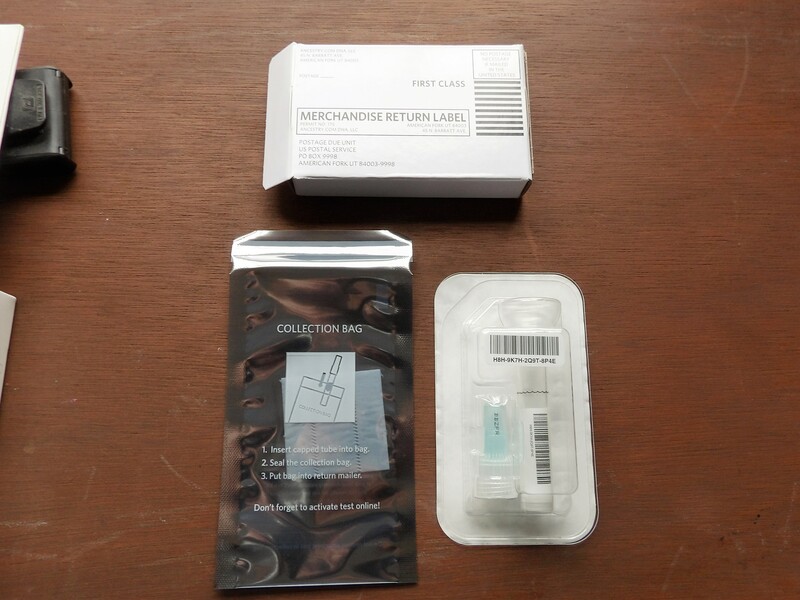 The collection bag shown on the lower left receives the tube and then they are both placed in the shipping package shown at the top. 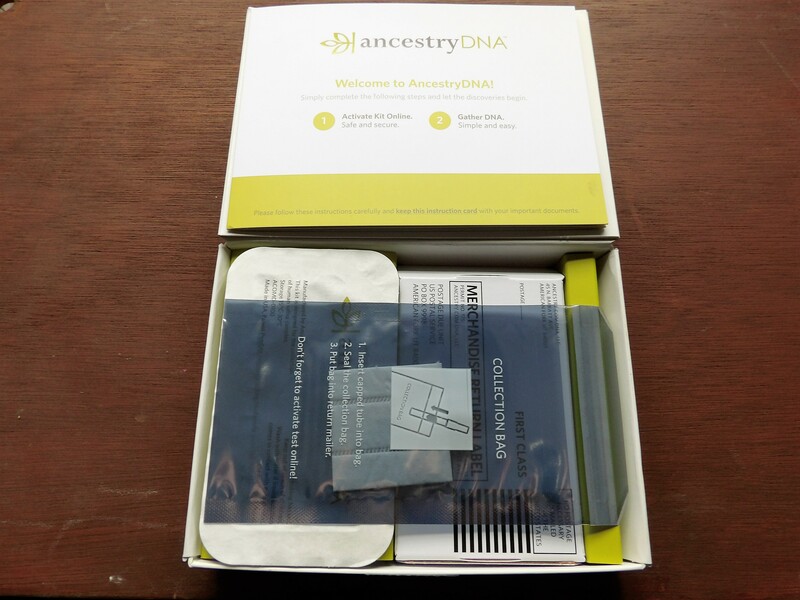 It is necessary to activate the program by going on to the Ancestry.com site. You have to report the registration number that is located on the spit bottle. 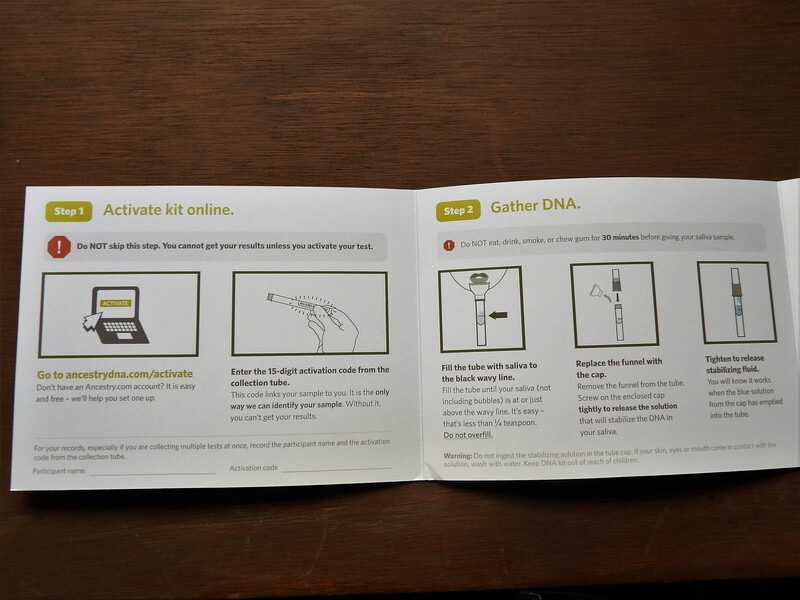 Package is prepaid so all you have to do is pop it in the mail. I have included the instructions which are simple and easy to follow. I expect to hear the results in four to six weeks.